Maintaining and monitoring subsea electrical networks can be a costly and time-consuming task. Several different topside devices are used to support these networks including electrical power modules, controller modules and monitoring devices. Line integrity monitoring (LIM) devices are installed to check the integrity of cable insulation through the measurement of insulation resistance (IR). Using lower voltages than megohmmeters, measurements have a lower accuracy but offer the advantage of providing a continual picture through which the operator can see any developing trends that may alert them to a potential problem. If the LIM alarm is tripped, a higher accuracy megohmmeter test can be scheduled that traditionally requires a qualified person to be flown to the platform with the appropriate test equipment, cables disconnected and megohmmeter tests carried out. This can typically take up to a whole working shift, requires bed space for the technician while they are on site and is a costly, time-consuming process during which production is stopped. As cables are disconnected there is an increased risk to safety and greater chance that faults are introduced to the system through the disconnection/connection process. There is, however, a shift in paradigm in testing procedures that is being enabled by more modern technology options. 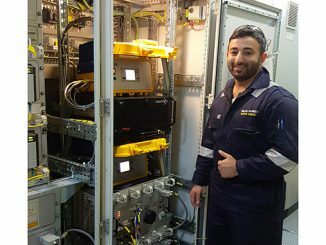 This innovative approach combines electrical power supply control and LIM technology in a unit that improves data logging capability of system IR, gives a clearer picture of the status of the subsea network and can significantly reduce the cost of additional line testing. V-SUPPLY from Viper Innovations is a new type of topside module with in-built over-voltage and over-current protection and advanced, integrated LIM capability. It uses a touchscreen HMI for easier operator interaction, provides greater detail of IR measurements and has clearer reporting than traditional technology. The design of the module with a patented test procedure also enables megohmmeter testing without disconnects and without the need to mobilise additional technician resource. The benefits it offers are enormous to offshore operators. Megohmmeter (or “megger”) testing using V-SUPPLY only requires the megohmmeter test box itself to be shipped to the platform. The intuitive process requires no special training as the operator is guided through the testing process with clear instructions and interlocks on the V-SUPPLY touchscreen HMI. Once initiated, the coding within the module will not allow the test to proceed unless test procedures are followed exactly. Without the need to disconnect cables, the test simply requires the megohmmeter test box to be connected to the V-SUPPLY unit and “go” pressed on the touchscreen. The whole test process is completed in a matter of minutes; drastically reducing testing downtime and providing safer test conditions. V-SUPPLY controls the testing process and will only return to its safe, normal mode of operation once the process is complete. 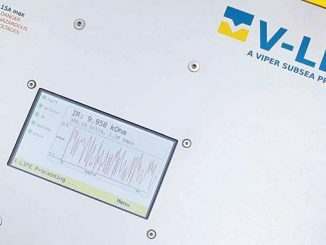 Additional benefits of the V-SUPPLY unit include the incorporation of V-LIM technology and Spread Spectrum Time Domain Reflectometry (SSTDR) for continuous integrity monitoring of electrical conductors. Units have remote control and monitoring functionality with even the option for remote restart of the unit. Operators can also select to enable either V-LIFE or V-IR technology within the device. V-IR provides a more detailed map of risk areas in the subsea network using V-SLIM (Subsea Line Integrity Monitoring) devices installed at strategic junctions in the network. These scan for faults upstream and downstream of their installation point and feed the information back to the V-SUPPLY base module. 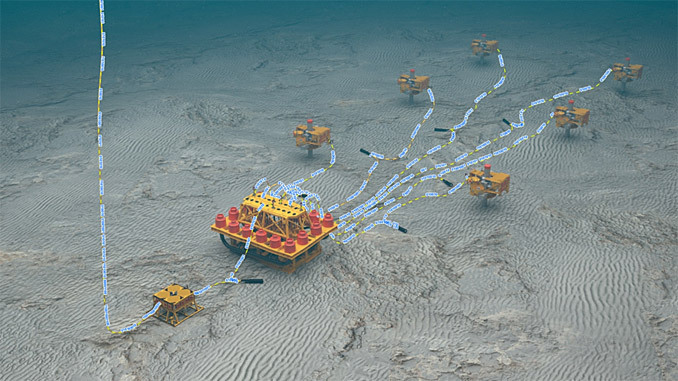 V-SLIM modules are installed around cables and do not require disconnects in the subsea network. V-LIFE is a breakthrough technology that actively healsinsulation on subsea cables. It has been proven to extend the life of failing cables and offers a way of protecting cables to reduce or even negate water ingress failures caused by the degradation of cable insulation materials. V-SUPPLY technology has the potential for almost immediate return on investment and offers a cost-effective option even when compared with standard power control units. Ideal for new or existing installations, it is also a smart choice for fields that have stopped producing but still require power and monitoring of the subsea network for a period until decommissioning. V-SUPPLY combined power and monitoring technology is a step-change in the way subsea networks are maintained. Using proven technology and techniques it removes the need to mobilise specialised personnel; reduces system downtime and makes megohmmeter testing safer. 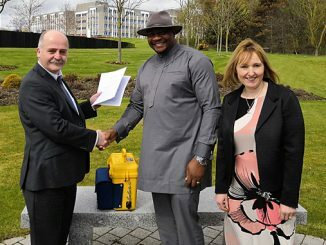 With the additional choices of V-IR or the unique V-LIFE technology and at a price point that is in keeping with standard power supply units, V-SUPPLY sets a new benchmark in this area of subsea engineering. 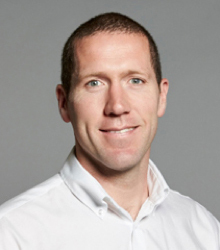 Dr Daniel Denning is a Systems Lead Engineer for Viper Innovations and is the product lead developer for the topside power unit, V-SUPPLY. Daniel has expert knowledge in issues relating to Insulation Resistance and Topside Power Systems, and often consults on this for Operators. He has completed many Electrical Power and Communication analyses. Dr Denning has been influential in developing cost saving safety technology, improving the way offshore tech’s test electrical subsea circuits.